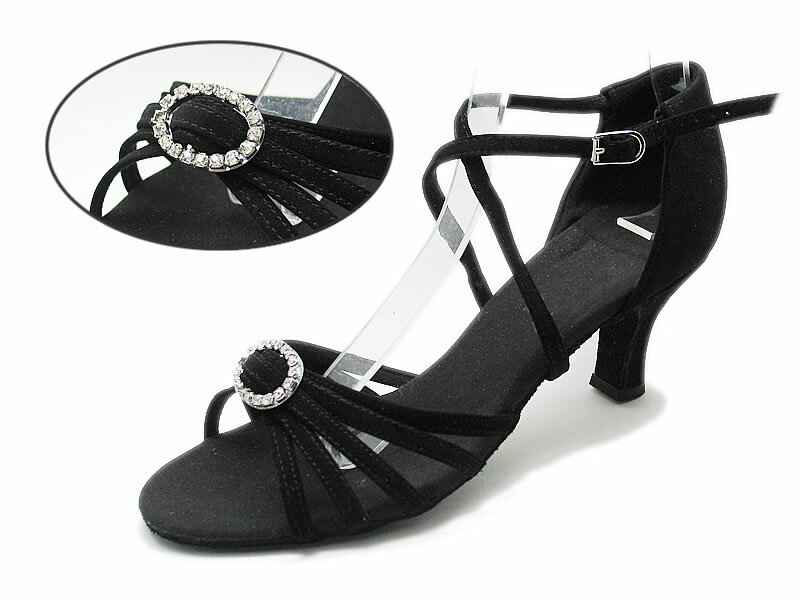 A touch of class at the center with an elegant rhinestone buckle creates the perfect style for all your dancing events. Deep cut closed in heel with softly wrapped ankle support with adjustable straps. Picture shows in Black Nubuck(G12) with 2 1/2"f heel.